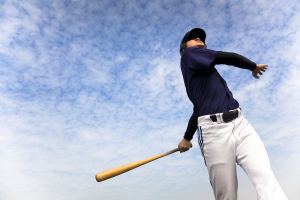 Trained as a shortstop but drafted as a pitcher, the MLB’s National League Rookie of the Year Jacob deGrom is an example of recruiting done right: assessing talent to put your employees in the best position for personal and organizational success. Sometimes, you need to look deeper than the conventional scouting report to get it right. Most managers will agree that hiring is one of the most unpleasant aspects of their job, despite it obvious importance to the health and growth of any organization. The reason for this feeling is the fact that the current approach to hiring simply doesn’t work, according to dozens of research reports, from publications such as the Harvard Business Review, Wall Street Journal, Gallup and Forbes, plus a large collection of projects conducted among Caliper’s thousands of clients. This evidence indicates that, at best, some 30 percent of the people hired like their jobs and are equipped to do their jobs well. The remaining 70 percent of current employees are not really engaged in the work they’re doing. So, if we hire on the basis of what someone is currently doing, the odds are 70 percent that you will be drawing from an inappropriate source of people. This is likely due to the way we do it today: hiring on the basis of experience, focusing on what a candidate has been doing lately. This is a system built with the likelihood of failure. When they drafted Jacob deGrom in May 2014, the Mets clearly highlighted the weakness of the usual way to hire or draft: overly weighing past experience over potential. Their success with the selection of deGrom points to the far more effective approach of hiring or drafting according to what the individual is and the traits they inherently possess, whether or not they have been given the chance to exhibit those traits in the workplace (or in this case, on the field). If one studies deGrom’s history, we find that his collegiate career began as a light-hitting shortstop, and in fact, he turned down a renowned summer league playing opportunity early on because a team wanted him to be a pitcher. The Mets, on the other hand, looked at deGrom as an individual and determined that he would be a valuable choice – even if his potential demonstrated more value — both for deGrom and the organization — in a different position. The result of objectively assessing the complete person — considering inherent skills and professional potential, as opposed to the face-value of a young man who posted a 2.69 ERA — resulted in the rapid development of a star player. In his first year, deGrom was the recipient of the coveted Player’s Association Rookie of the Year Award and most recently, Major League Baseball’s National League Rookie of the Year Award. Most HR consultants and training companies will state an axiom in the industry: “You can teach skills, but you can’t teach attitude”. The point here is precisely that: whether it’s drafting in sports or hiring in industry, the key is to ascertain that attitude. Who is the person, and how do their qualities match the requirements an employee needs to be successful in a particular role? We can look to the performance of a New York Mets rookie pitcher to clearly demonstrate the point that hiring on the basis of experience alone can often cause organizations to overlook true talent. Hiring in terms of what someone is — not necessarily matched to what they’ve done, but matched to what they can do — can produce the best hiring decisions, allowing talent to reach its full potential — and beyond. That same logic applies whether you are hiring for a salesperson or a pitcher. There is one other important advantage in making the effort to find out who the person is before making the hiring or drafting decision. That is, once the individual is on your team or working in your company, how valuable will it be to those involved in managing or training them to know who they are? How important is it to understand their motivational forces, and to gear the developmental efforts to who that person is, rather than attempting to put everybody through some sort of predetermined training curriculum? The key to training should be focus on the individual’s strengths. Find the real strengths of your young talent, and match them with the right developmental efforts to maximize each person’s potential and contribution to the organization. Looking in-depth to understand the person is harder and much more complicated than just studying the numbers at hand, but the rewards are enormous. How different might the results be if the Mets had not seen the potential in this young player, but simply looked at his career stats as a light-hitting shortstop when they made that important draft choice? The need for organizations to think about talent in terms of succession and to plan for the future underscores how important it is to go beyond straight credentials. It also emphasizes the importance of looking not just to the outside for talent, but to look more closely at the talent that already lies within your organization. Who knows — perhaps you’ll discover your own Jacob deGrom! Herb Greenberg, Ph. D, president of Caliper, developed the Caliper Profile in 1961. It was one of the first assessment tests created for companies to use for hiring practices and has been used to assess over 3.5 million candidates and employees since its creation more than 50 years ago. Dr. Greenberg also authored the book "What it Takes to Succeed in Sales" and cowrote the books "Succeed on Your Own Terms" and "How to Hire and Develop Your Next Top Performer."